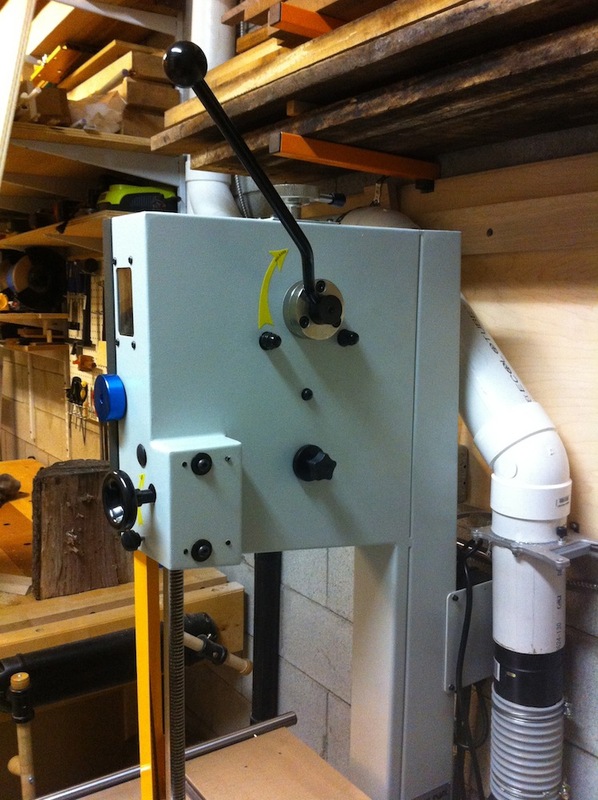 I recently decided to upgrade my band saw from my 1HP General International 14″ steel frame saw to something a little bit more robust. The old one was a good saw and if I had a bit more space, I would have kept it around and dedicated it to a 1/4″ blade for cutting templates and curved parts. 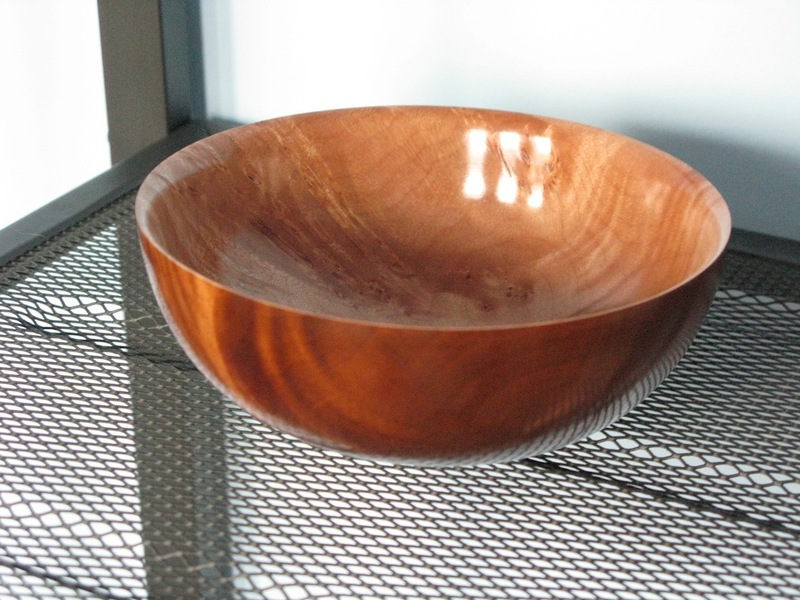 The biggest issue I was having with it was that it just didn’t have the horsepower and capacity I wanted for deep cuts like resawing and cutting bowl blanks. The Laguna LT14SUV is a compact band saw with a whole lot of power and plenty of capacity. When shopping for this saw, I compared against 14″-18″ band saws from all of the major manufacturers available in Canada, and this saw won based on having all of the features I was looking for. 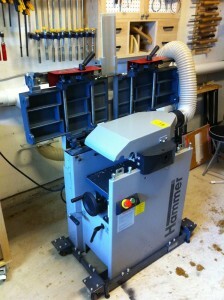 I was looking to purchase a band saw that I won’t outgrow. The instructions were adequate to get me through all of that successfully. Only minimal adjustments were required to things like the fence scale, the tilt cursor, and the table’s 90 degree stop. I didn’t need to make any adjustments for blade drift or tracking. Shipping grease I gave up on. Getting all of the shipping grease off was a real chore. It was applied neatly, thoroughly and generously. I alternated between WD-40 and Varsol, based on how accessible the goop was and it took a good hour or two to get it to the point where I gave up. I got the vast majority of it, but there’s definitely still some there. The user guide clearly states that “all machines require the minimum of a 30-amp circuit breaker” [sic], but mine arrived pre-wired with a 220V / 20A plug. I found that a little odd and decided to try it out on my existing 20A circuit before messing around. Running it on the 20A circuit has not given me any trouble at all, and the motor rating is 12.8A. This saw takes up basically the same space as my old 14″ band saw, but with twice the resawing capacity, and triple the horse power. Huge win. The 18″ saws I compared it with were all 6-10″ deeper, which would have posed difficulties for me with my current shop layout. I’m sure I could have figured something out, but I’m quite glad I don’t need to. The paint is pretty much flawless, and the castings look good to my untrained eye. All of the adjustments operate smoothly enough, and the parts have a good weight and feel to them. Nothing caught my eye as feeling particularly cheap on this saw, and I didn’t find any surprises like sharp sheet metal edges. 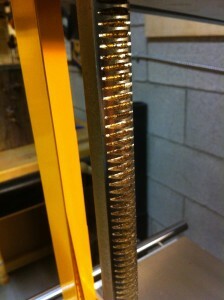 This machine is solid and runs quietly and almost vibration free. Given the massive iron wheels that it has, they must have done a really good job of balancing everything. The levelling feet included are also quite solid, and when properly levelled, it doesn’t move around unless you really want it to. The operating height of the table is clearly intended for straight cuts in big, thick boards. At just 36″ off the ground, this will take some getting used to. 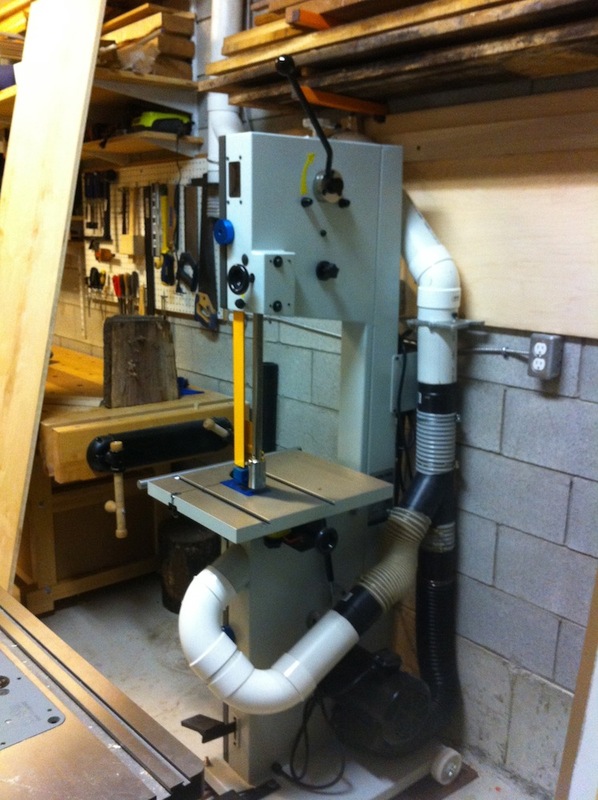 Because my floor is sloped quite a bit, I needed to elevate the saw by 3/4″ to prevent my workbench from getting in the way of ripping longer boards. 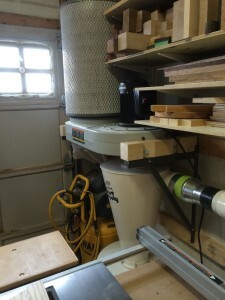 Fortunately, the majority of what I do with my band saw is pretty convenient to do at 37″ off the ground, but I could definitely see this being a consideration for users with back problems who spend a lot of time cutting out band saw boxes. This saw doesn’t include a blade in the purchase price. The blade length is 125″, so all my old blades went with my old saw, and I bought a 1/2″ Laguna Swedish silicon blade to get started, rather than springing for their carbide tipped blade. I figured it would be a fairer comparison with my old saw to use a silicon blade, and 1/2″ is my go-to general purpose size, because it can usually cut the curves I need and does a reasonable job at ripping as well. The Laguna blade is a little pricier than the brand I was using before, but the weld seems to be considerably better, which is pretty important with the ceramic guides. The fence is rock solid. The included fence has two positions, high and low, allowing the fence to get closer to the blade and still have the blade guard quite close to the table. I can’t see myself ever bothering with that, but it’s nice that it’s there. There seems to be minimal provision for adjusting for drift, but I haven’t tried that out yet, because I haven’t encountered any drift. It’s not very tall, and I’m probably going to have to add a taller fence for resawing past about 6″ deep. The fence mounts on a round bar, and it can be removed from the saw completely by tilting it up to get it past the blade, then laying it back down on the table to slide it past the mounting post that holds the round bar in place. Even though the fence only mounts on the operator’s side of the saw, it is very rigid. The fence mounting rail has a measuring tape graduated in inches and centimetres with good crisp graduations. Calibrating the measuring tape was pretty easy using the included tools, but it was off by almost as much as it could be out of the box. The graduation markings are very clear, but the scale suffers from parallax as you sight along the face of the fence because there is a pretty big gap between the bottom of the fence and the tape. This doesn’t bother me as I tend to leave things a bit oversized for later planing anyway. This saw rips 4/4 hardwood like it’s not there. I’m sure this is partly attributable to the fact that I have a pretty new blade on it, but it’s cutting as fast as I can feed it by hand without being completely reckless. Resawing hard maple and walnut is smooth and steady. 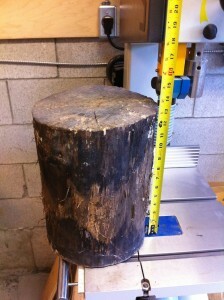 I’ve tried it up to 10 1/2″ deep in hard maple and the saw had no trouble with a reasonable feed rate. 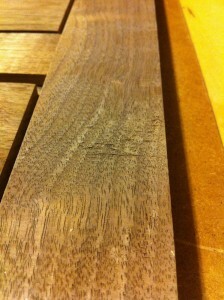 That was the widest dry hardwood I had on hand to try. It felt like the limiting factor was the gullets getting loaded up, so it might be valuable to have a coarser pitched blade for those cuts. 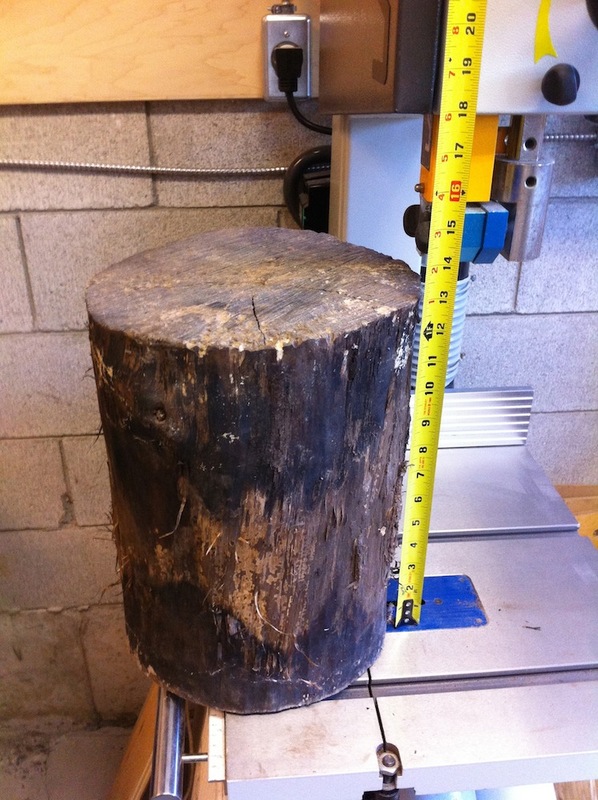 The deepest cut I’ve made with the saw so far was to saw a 10″ diameter log, 13″ long in half along its length – again, it didn’t hesitate even the slightest bit. Cutting that log in half was clearly not a challenge for this saw. With logs like that screwed to a sled riding in the mitre slots, I’m sure this saw will easily cut bowl blanks smooth and straight enough for excellent contact with a face plate. The quality of the cut I get with it varies based on my feed rate. If I push it as fast as it will go, score marks are clearly visible, but aren’t excessive. If I take my time, I get a surface that could easily be finished off with a few strokes of a finely set plane or some 80 grit paper on a random orbit sander. Taking my time through the cut, I had to colour very lightly with a crayon to get the marks to show up on camera, and that was with a 3 TPI blade – I fully expect that a finer pitched blade will cut through dovetails that are ready for glue. This saw has two mitre slots that fit my table saw’s stock mitre gauge quite nicely. Which is a good thing, because Laguna didn’t sell me a mitre gauge with this saw. I guess if the choice is between “include a throw-away mitre gauge and charge more” and “don’t bother at all”, they made the right choice there. 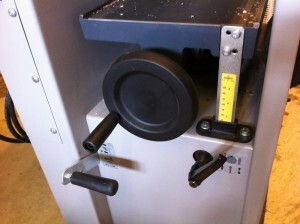 The throat on this saw, being a 14″ band saw, is slightly less than 14″ at 13 1/4″. It will do all the crosscutting you’d expect to do with a 14″ band saw. One of the big questions I had about the Laguna ceramic guides was, “what about the sparks?”. Yes, you may see an impressive shower of sparks. At first, they were much more frequent and dense – almost like using a bench grinder if I pushed a cut hard. Now that I’ve been using it for a couple of months, they have reduced considerably. I now only see a few here and there. The user guide says that this is normal. I find the blade guides are fairly finicky to set up and some of the adjustments require Allen keys. Laguna supplies a fairly reasonable set of keys and a convenient little rack for them to hang from underneath the power button so they’re always at hand. I’m pretty sure the adjustment will get easier with practice. Nothing was so awkwardly placed as to be inaccessible, and the guide blocks seem nicely made. Changing the blade requires removing the yellow blade guards on the guide post and below the table, which is a little unfortunate, but not difficult. The blade guide travels parallel to the blade out of the box on my saw, but the user guide includes a procedure for correcting the alignment if it doesn’t. 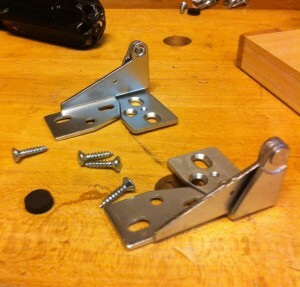 The table insert has levelling set screws that weren’t too hard to adjust. The insert itself seems a little thin to me, but I guess we’ll see how well it holds up over time. It has a clip that holds it in place under the table that I had to bend a little to get to work correctly. The clip is mounted on a spring, and twisting it is supposed to catch it on the underside of the table casting, riding up a bevel on the clip. 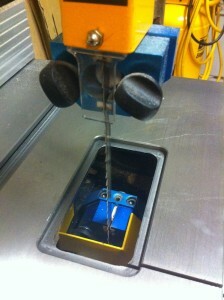 However, the bevel wasn’t quite steep enough out of the box to ride up the edge of the casting. A little twist with the pliers and it now works perfectly. The blade guides raise and lower on a rack and pinion round post and locks in place with a screw against a flat spot on the post. 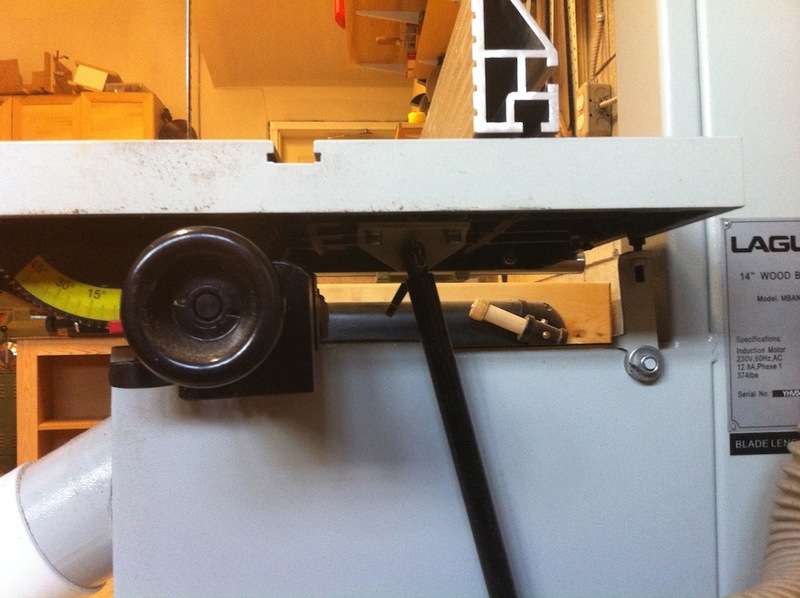 I can’t figure out why band saw manufacturers do that – it’s a recipe for misalignment, and I can see the blade guide assembly twist slightly as I tighten the screw that locks it in place. On my saw, the blade guide assembly’s tension is a bit loose in the middle of the adjustment range, and it has a tendency to drop when I let go of the hand wheel to tighten the locking screw. 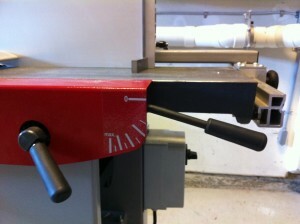 This is a minor irritation that makes adjusting the guide height a two handed operation. I’m going to try and find a way to adjust the tension on that at some point. The tension lever is easy to operate. The blade tension mechanism on this saw is one of its best features, and none of the saws I compared it with had anything close. On my old saw, the “quick release” lever was a cam lever about 6″ long that bears down on a metal washer on top of the saw’s frame, and operating it took quite a bit of effort. By comparison, the release lever on the Laguna is long, comfortable, and smooth. Applying and releasing the blade tension is effortless. The tension dial is also easy to operate. The tension indicator is something new to me – I learned to adjust tension by plucking the back of the blade and listening because my old saw lacked any indication of tension, so I have more or less ignored the fact that there is an indicator there. My one comment about the blade tension mechanism is that it would be really nice if future versions added a micro switch to cut the power if the blade tension is not applied. Some competing saws already have this, and it’s a great idea. I’ve started the machine a couple of times now with the tension released because the lever is on the back side of the machine from the operating position. You can easily see if it’s released or applied if you look, even from the operating position, but I haven’t yet perfected the habit of looking for it. 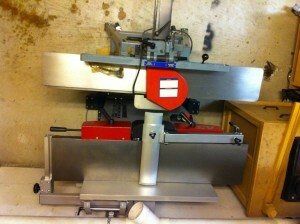 The fact that this saw has a brake was a big attraction for me. Hitting the brake pedal shuts off the motor and putting your foot down slows the wheels. Left to its own devices, this saw takes what seems like an eternity to spin down. The wheels are so heavy that even pressing pretty hard on the brake, it takes 3-4 seconds for me to stop it. I’m not really in the habit of using the brake itself, but I do tap the pedal to shut the machine off, and it’s nice to have that brake there when a little offcut gets stuck in the table insert. Waiting for it to spin down on its own to remove an errant offcut would be a bit frustrating. I do find that I use the brake a bit more often when I’ve got the blade guides wide open – seeing 14″ of running blade exposed is a bit unnerving. Facing the outfeed side of the saw, the tilt stop is on the right. It swings down to the right when it is not needed. The table on this saw is generously sized and heavy. 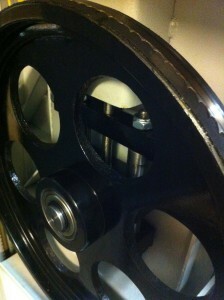 The trunnions are beefy and solid, and the tilt mechanism has a geared adjustment knob with a gas spring strut to assist. There are two locking knobs, which are comfortably sized. Adjusting the tilt is a two handed operation, as the table is heavy enough that it will fall fairly heavily back to its positive stop if you let go of the adjustment knob without the locking knobs tightened. The tilt control knob is smooth, a little bit small and a little slippery to grip, but it gets the job done. The positive stop is effective and doesn’t have any play. When tilting the left side of the table down, the positive stop swings out of the way to allow the table to drop down. Swinging the positive stop back into position, the table reliably returns to square with the blade. The cursor on the tilt, like the cursor on the fence, suffers from parallax. Again, this being a band saw, I doubt anybody expects or requires 1/10th of a degree accuracy here so this is sufficient. I am generally happy with the dust collection on this saw. I never bothered to install the wooden baffle that the instruction manual recommends for the front dust port. The user guide indicates that the machine requires 1000 CFM, and I’m sure I’m nowhere near that. So even though I don’t meet the machine’s requirements and I haven’t really taken the time to set it up precisely as prescribed, it’s working alright. 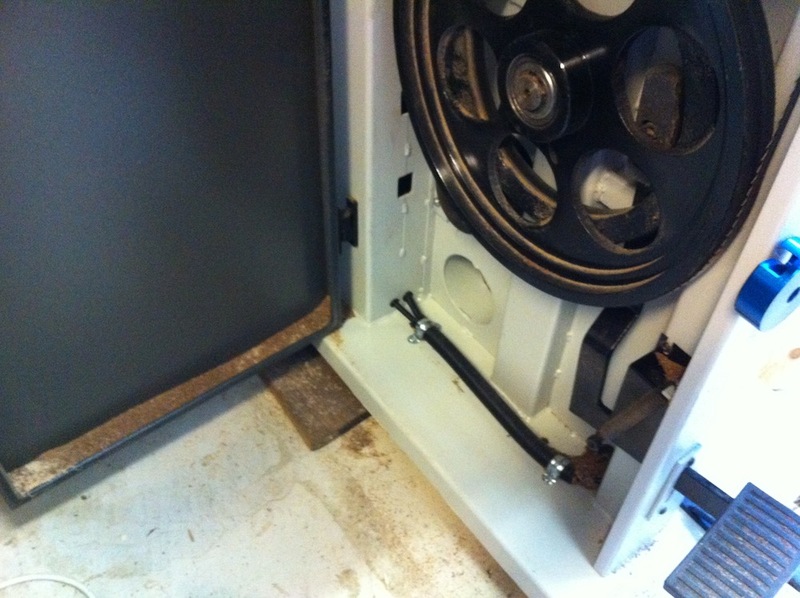 In use, a little bit of dust accumulates on the inside of the bottom door, and a little accumulates around the wiring for the micro switch on the foot brake, but in general, it doesn’t pile up. It doesn’t look like much dust makes it up to the upper cabinet. The one improvement I could suggest for this machine would be to put the front dust port on the outfeed side of the machine. I have no idea why so many band saws have their dust ports on the front of the machine like this, as it pretty much guarantees 180 degree turn to reach the dust collection pipes. Fortunately, the pipes don’t stick out past the edge of the table the way I have them set up. One happy surprise was that the ports on this machine fit snugly inside a standard 100mm PVC street elbow. 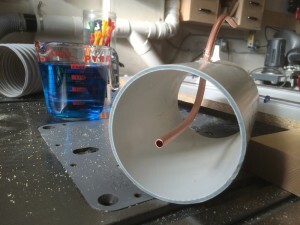 On the bottom connection, I used a Hold Tite hose so that I could shape it to avoid contact with the motor. The rest of the dust collection fittings were cobbled together from scraps of hose and fittings I happened to have on hand. There are two four inch dust ports on this saw, but if you look closely, the airflow on each is restricted to some degree. Feeding both ports from a single 4″ pipe seems to work alright, but I’m sure a 6″ pipe split to two 4″ pipes would work much better. 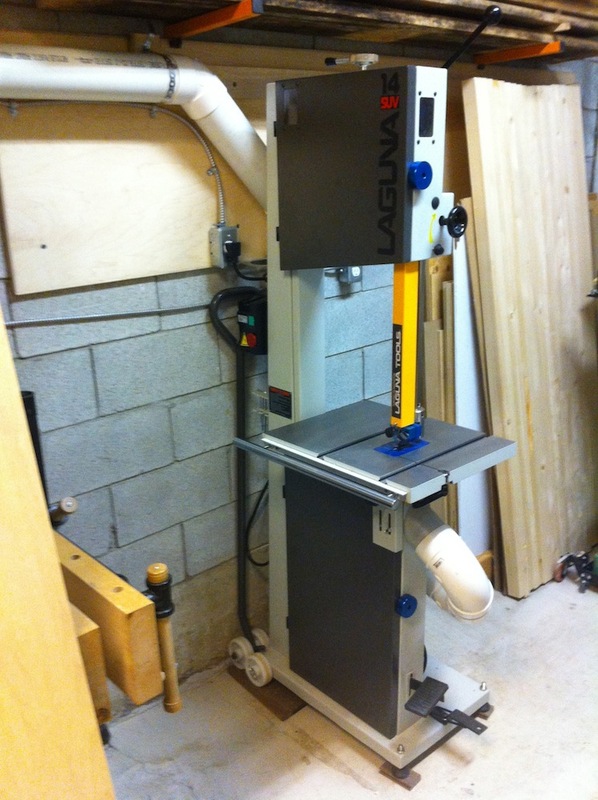 Laguna was running a promotion on this saw at the time of my purchase that included a lift-bar mobility kit for free. This mobility kit seems to be common to many European-designed machines, and it is absolutely not for me. I suppose it works, but in a tightly packed shop like mine, the main reason for needing mobility is to make room for the dozen other things that are getting moved around on a regular basis. I just plain don’t have space to swing a lift-bar around. I will probably replace the mobility kit with a more typical mobile base at some point, but for now, I haven’t had too many reasons to move it around, so it’s not doing me any harm. As a matter of personal preference, I would never have bought this mobility kit, at any price. I like this saw, and I don’t think I’m going to outgrow it. This a heavy duty saw with great power and capacity, and it appears to be built to last. Maybe one day in a distant, probably imaginary future where space isn’t a concern for me, I’ll have an additional band saw dedicated to the little things like cutting curves and templates, but I’m pretty sure that this one will be standing not too far away set up for the heavier stuff that I tend to do most with my band saw. 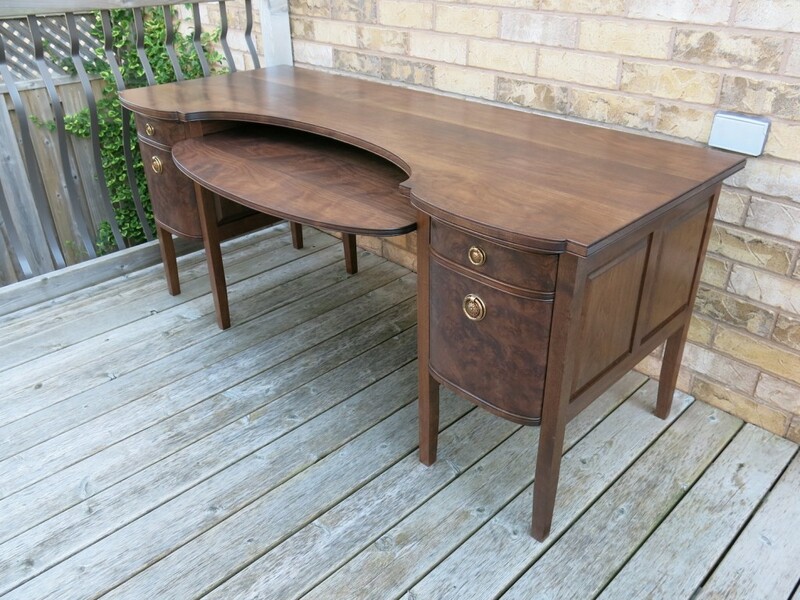 I finished building this desk last weekend. This project dragged on for a very long time, in part because at times I found it quite difficult to remain motivated to work on it due to various family events and in part because of my day job. I’m not going to say too much about it and I’ll just let the pictures speak. A few details about the construction follow the pictures. 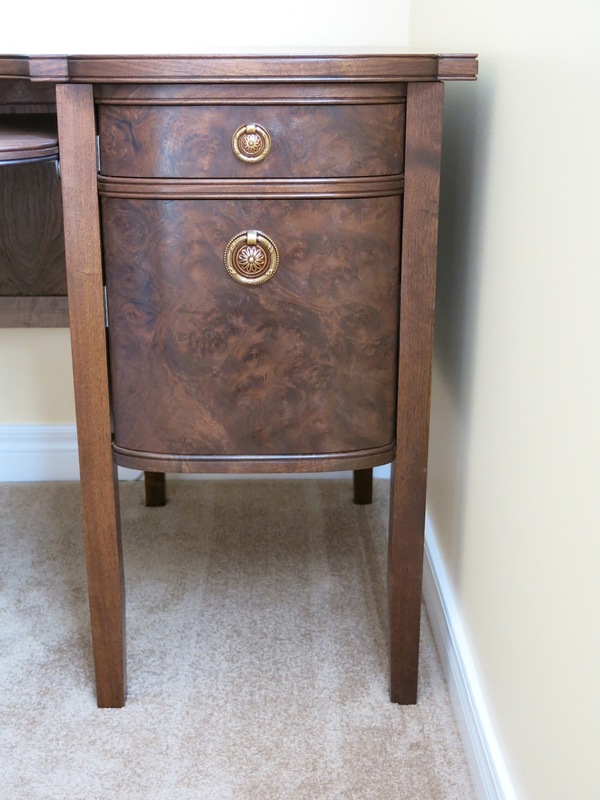 This piece is solid walnut and maple, with only the drawer bottoms made of plywood. The drawers are faced with walnut burl veneer that I applied by heating almost completely dry PVA glue with a clothes iron. Since this is the desk that I do my day job at, the drawers are on metal slides. The bottom drawers are sized for hanging files, one side legal format and the other side letter. I sized the drawers so a vacuum can get underneath easily, and so that I can put my sub-woofer under one of the pedestals. As someone who types for a living, I find movable keyboard trays incredibly annoying and flimsy, so the keyboard mount is immobile and solid. The keyboard surface is sized to fit my unusually large keyboard and a mouse. The desk surface is standard height, which makes my monitor a bit too low, so it’s raised up a few inches at the moment on a little tiny riser I built in 10 minutes, but I am planning to build a riser that will match the drawers and veneer it with some leftover walnut burl veneer. More on that in a future post. I saw this idea on Woodworking for Mere Mortals, so thanks Steve, these are great. 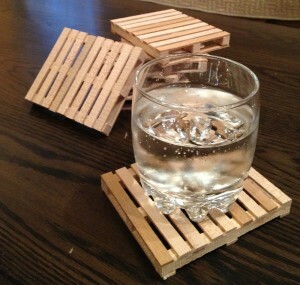 He posted a video on how he made his versions from real pallets. Mine are made from maple off-cuts from making the doors on my recent little shop cabinets. I went with two-way pallets instead of four-way pallets to avoid the need for the router operation that Steve did on such small parts. You can read more about the differences between two-way and four-way pallets on Wikipedia. It’s very exciting, I assure you! For this article, I’ll mostly let the pictures do the talking. 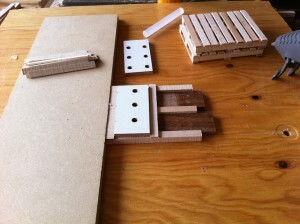 For assembly, I made a spacing jig to get things moving nicely. I evenly spaced 3 deck boards along the stringers and cut some spacers out of some walnut off-cuts, then nailed them to a scrap of plywood. 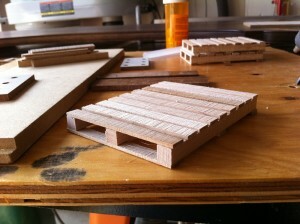 Then, using a square, I nailed a scrap of MDF to align the ends of the stringers. 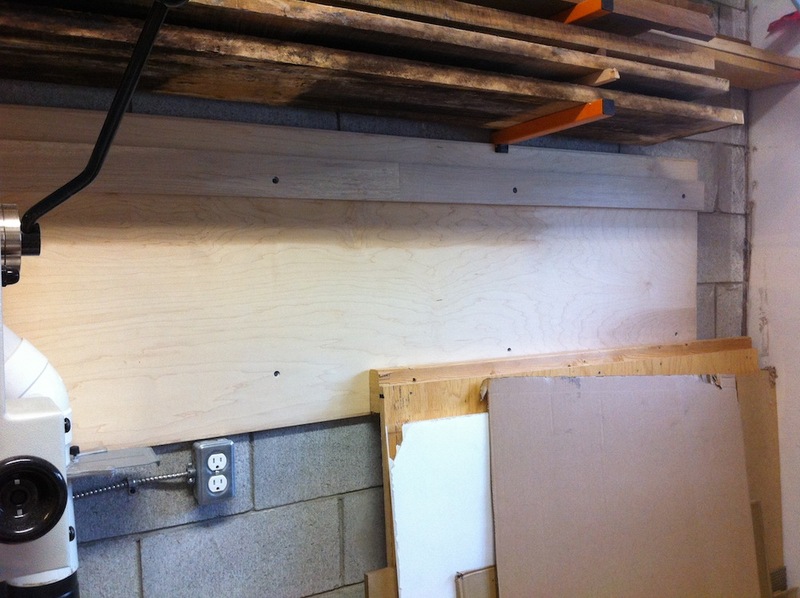 The stringers are placed around the spacers, with the bottom side of the pallet facing up (the nicer parts of the wood are better off concealed in this instance). 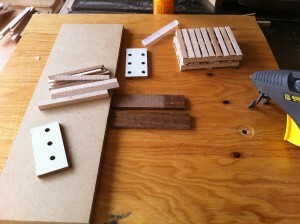 The first deck board is glued right up against the MDF fence with hot glue. After that, I used the pegboard spacers to space the centre deck board and then the left most deck board evenly. The deck boards were sawn from particularly streaky and variably-coloured bits of wood. Skewing one or two deck boards a degree to one side when placing them and making the overhang on the ends vary slightly adds authenticity, but subtlety is critical. 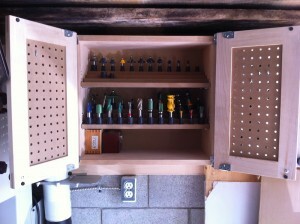 I originally started this project with the intention of building a single small cabinet for my router bits. Having found some inspiration at Wood Magazine, I sat down with Sketchup and worked out a design. The Wood Magazine plan is free. I decided I wanted two smaller doors, and I didn’t want to go to the trouble of tilting the router bit shelves. I also decided to use Lee Valley’s plastic router bit holders instead of drilling holes into the shelf. Having tried it out, not tilting the shelves means that accessing the bits in the back is a bit of a pain. 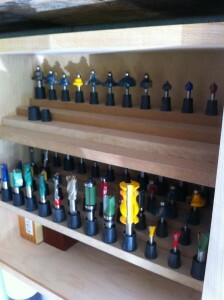 My solution is just to put my most used bits at the front where they’re easy to get. 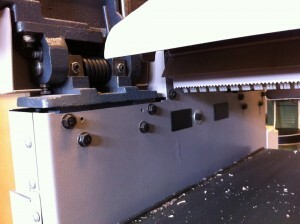 There are four rows per bit shelf, and each row has 12 bit holders spaced 1 1/2″ apart. I didn’t take any pictures of the case construction, but there’s nothing really to it. 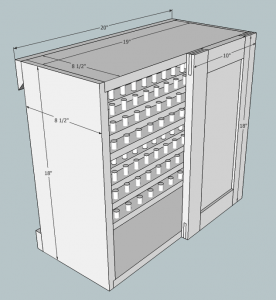 It’s a plywood case with rebates at each end of the side panels for the top and bottom, and drilled for shelf pins at 5, 6 and 7″ from the top and bottom. 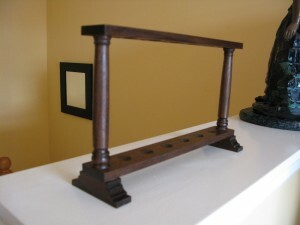 My original intention was to use metal pilasters to allow adjusting the shelf height at 1/2″ increments, and I do now wish I had followed through on that. The store I bought the hardware at just didn’t have them. I screwed a plywood sheet to my concrete block wall to make hanging things easier. These cabinets are hung on the wall using a french cleat at 45 degrees. The french cleat is glued to a 3/4″ plywood sheet, and I screwed through the cleat into the concrete block wall. The french cleat and plywood sheet making hanging things on the wall much easier, and will result in far fewer holes in my concrete blocks. 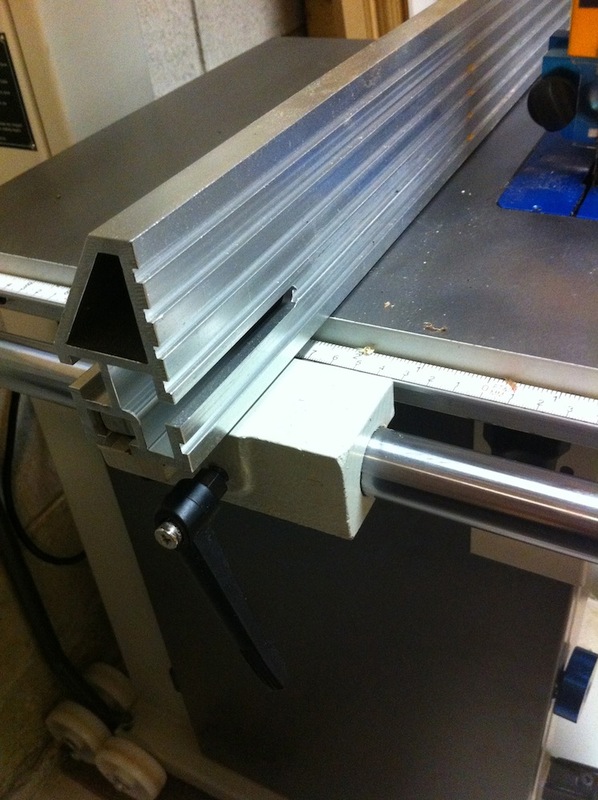 I don’t bevel on my table saw because my out-feed table prevents the motor from swinging over the full 45 degrees necessary, so I used my jointer with the fence set to 45 degrees and taking maximum depth cuts to bevel the cleat, leaving a 1/16″ flat on the tip just to avoid having a fragile edge. I ripped the edge opposite the bevel to ensure that it is parallel. Like my other hanging tool cabinet, the doors are maple frames with white pegboard panels. These doors are only single-sided though – that one used two layers of peg board spaced 1/4″ apart so tools could be hung on both sides of the door. 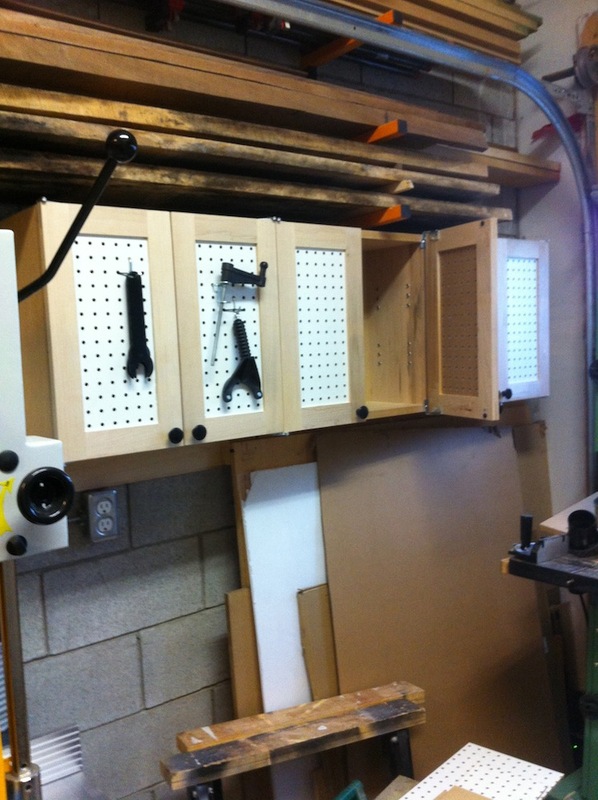 I really like white pegboard panels for hanging light stuff like wrenches for my routers and router lift that get used frequently. The white brightens things up considerably, and it keeps my most frequently used items accessible. 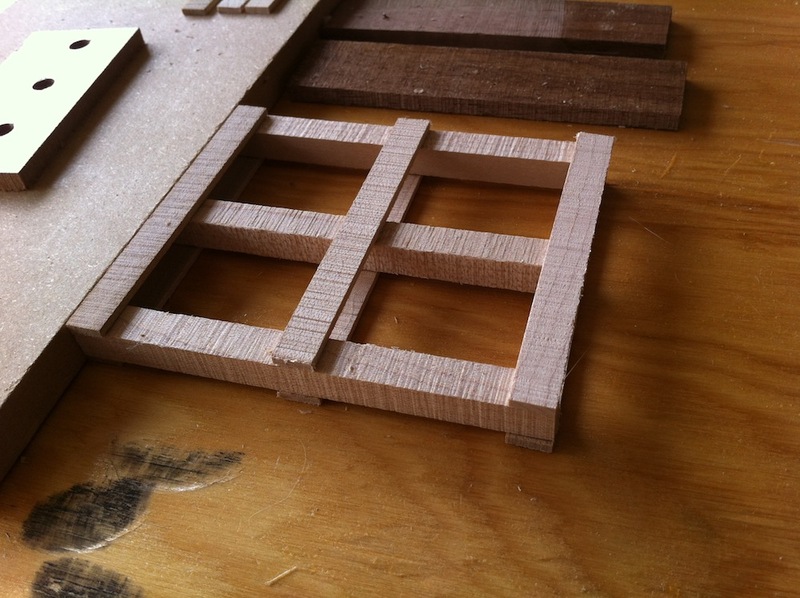 The doors use bridle joints because they’re quickly cut with a tenoning jig. The pegboard is glued into a groove along the inside edge of the rails and stiles that lines up precisely with the bridle joint – I actually cut the groove first and used that to size the bridle joints. The edges of the doors were cleaned up with a low angle block plane, and I used a standard angle block plane to put a light chamfer along every corner. Almost no sandpaper was harmed in the making of this cabinet. The hinges I used are cheap “invisible” hinges. They are very easy to install and cost me about $5/pair. They are installed by lining the edge of the door up with the edge of the hinge and screwing them in place. With the cabinet on its back, line the doors up where you want them to be, and then give the door a light tap over each hinge. The little dimple on the case-leaf of the hinge will mark the case front. 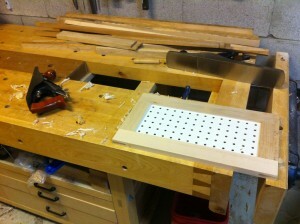 The door can now be opened and the hinge lined up on the leaf to make pilot holes and install the screws. Once the case leafs are screwed in, the door reveal can be fine tuned by loosening the screws on the door leaf. Because the pivot point is in front of the door’s outside corner, these hinges allow the cabinets to be placed directly adjacent to each other, and open up almost 180 degrees (limited more by the door knobs than anything else). If there’s no adjacent cabinet, these doors can open up to 270 degrees, so they’re a great choice for shop cabinets. For heavier doors where I expect to hang more tools, I would use piano hinges, but these doors are only going to see a wrench or two and maybe some hex keys hanging on their fronts. These cabinets were sized for a particular space. 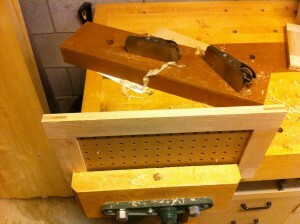 Underneath, I keep my bits and pieces of plywood for jigs and templates. 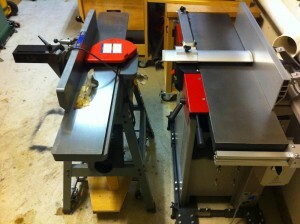 Above is my lumber rack, and to the left is my band saw. The doors don’t interfere with the out-feed area for the band saw, and the depth of the cabinets was chosen to avoid hitting them as I remove lumber from the racks above. I originally intended to build only 1 cabinet, but since I had space and most of the materials for 3, I built 3. Two of the cabinets have flat shelves and I’ll probably use them for storing my sanders, sanding discs and hand held routers. 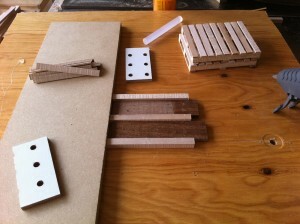 The shelves for the router bits were made from some leftover 5/8″ MDF that has been sitting around for quite some time. 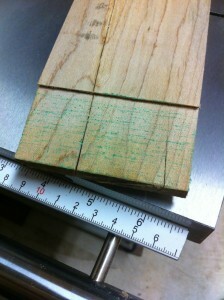 I ripped 2″ wide strips and marked them 1/2″ from the front and back edges with a marking gauge. Along the front line, I marked for pilot holes starting 3/4″ from the end at 1 1/2″ centres. The rear line was used to line up the next level. I placed a strip along the rear line to create the steps and secured it with 1″ brads and glue. Each shelf has 4 levels. With the steps created, I flipped the shelf over and used little blocks of MDF to build up the under side of the shelf so that it can sit flat. Using little blocks at the end instead of using a wider strip of MDF for each step dramatically reduces the weight of each shelf, and leaves space to lift out bits from the shelf below. I figure that since I’m using up scraps here and nobody is going to be looking at it, I’ll fix it if it breaks. Seems solid enough though. I drilled 5/32″ pilot holes for #4 screws that fit the router bit holders from Lee Valley. 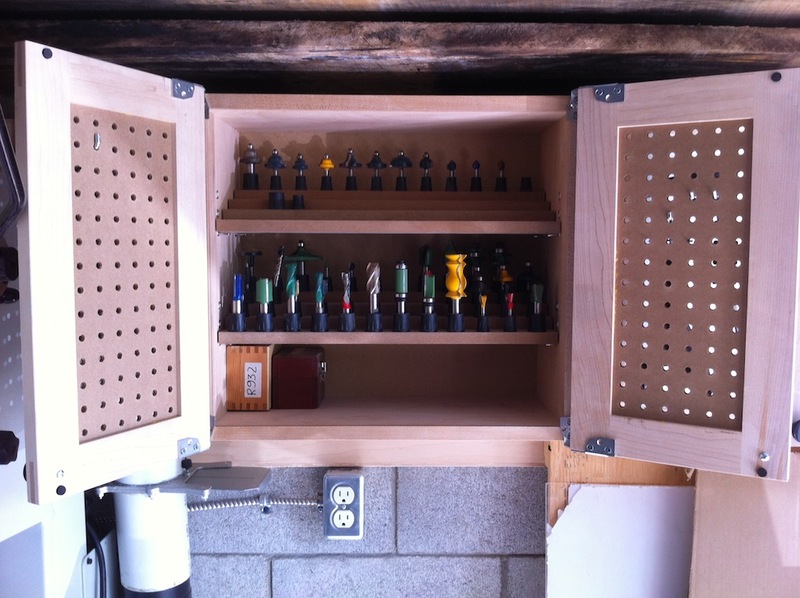 Those router bit holders come in two sizes, so while I did drill the pilot holes for all 48 bits per shelf, I did not install router bit holders in every hole. I will buy a packet of each type of holder and install them as I get the bits rather than try to guess at which size of holder should go in each hole. 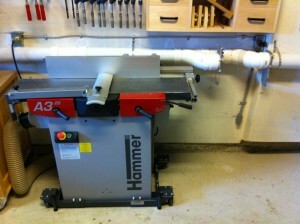 The first sign that there was a problem was that my jointer kept clogging up my pipes. 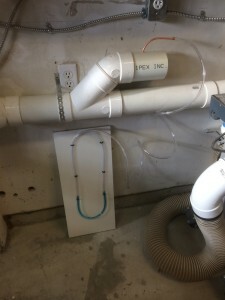 Chips started ejecting from the cutter head instead of disappearing neatly into the plumbing. 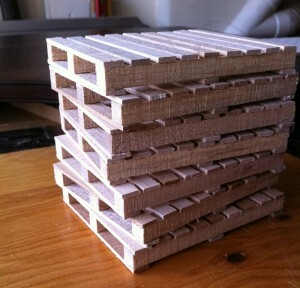 Planing a stack of maple boards for some cabinet doors was becoming an exercise in frustration. 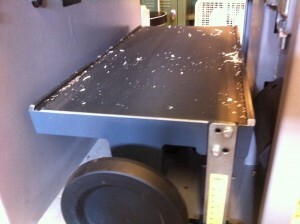 Plane a board, unclog the dust collector. Plane another two, unclog the dust collector. Now, the experienced among you already know what was wrong. The second sign was a whistling sound coming from the corner of the shop. I was confused and alarmed. I stopped the jointer and went over to investigate. 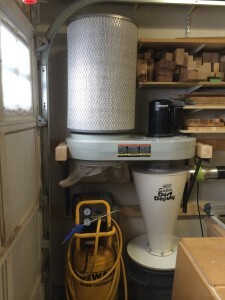 Putting my hand next to the seal around the base of the canister, I discovered that the whistling was the sound of massive amounts of air blasting between my canister filter and the mounting ring on my Delta 50-760 dust collector. 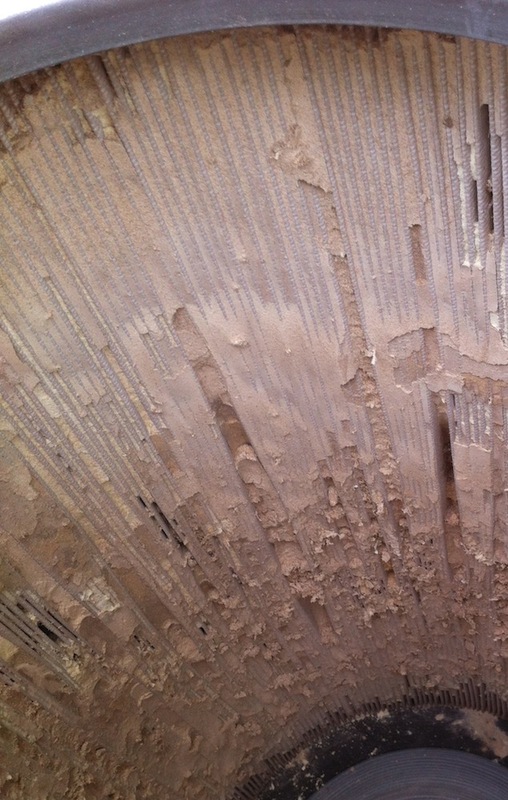 Confused, I shut off the dust collector and finished my jointing. I figured that the canister had been bumped out of alignment and wasn’t seated on the ring properly. This is what happens when you forget to clean your filters regularly. It wasn’t until a few days later that I realized what was wrong. I removed the chip collection bag and peered up into the inside of the canister. It wasn’t pretty. 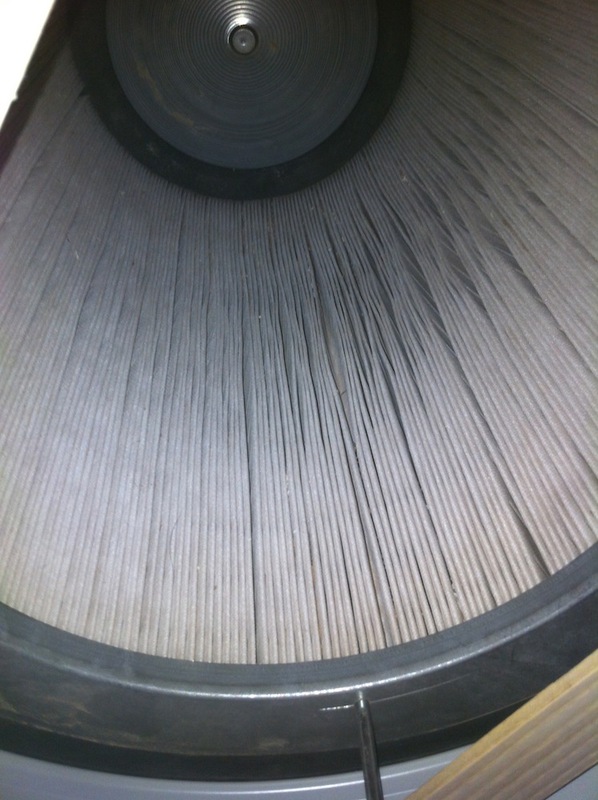 The photo doesn’t quite do justice to how jammed this filter was. 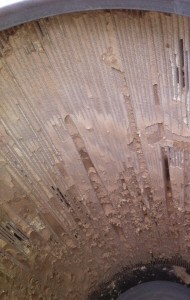 It looked like wavy plaster in some spots. The filter was actually so clogged that the path of least resistance for the air coming through the dust collector was actually to overwhelm the 1/2″ thick foam rubber gasket at the base of the canister and whistle out from underneath it. With a shop vac equipped with a crevice tool, run along the top of the cleats to remove the finest plaster-like dust. Definitely want a bag in your shop vac for this, or you’re just going to load up one filter from the other. With the top layer of the finest stuff gone, I found that the pleats were holding shocking volumes of larger chips. 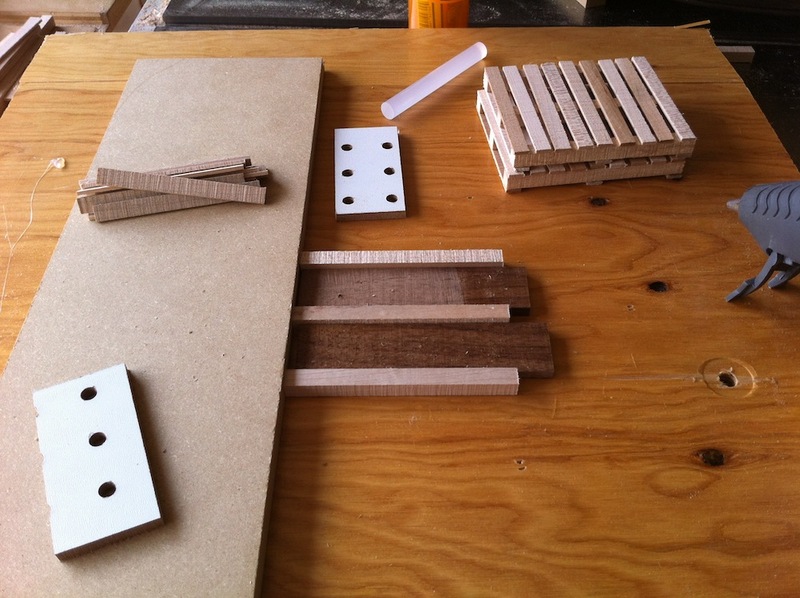 This is where that MDF comes in. I lifted the canister by the open end and and tapped the rim on the MDF to knock the layers of debris loose from the pleats. 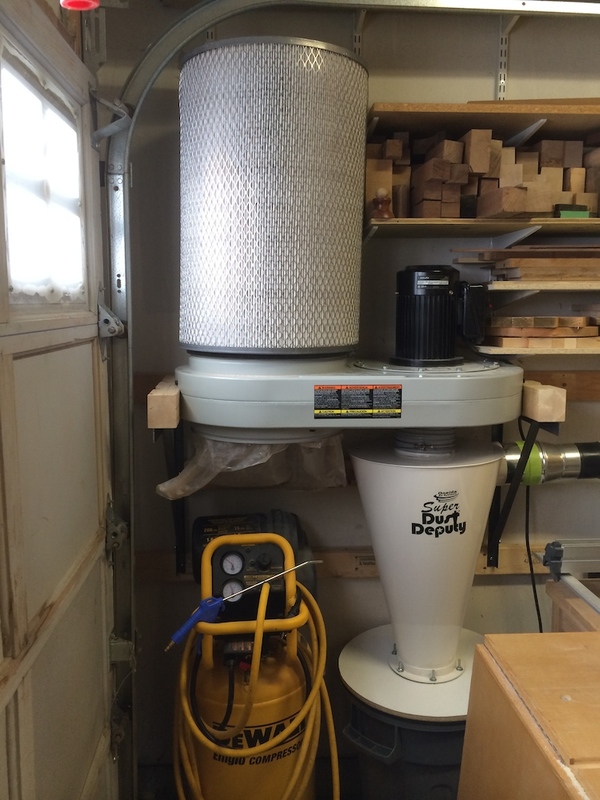 The MDF keeps the top of the canister from getting too scratched up. It doesn’t take much force. Then, I vacuumed the bottom to remove the fallen chips. With returns on the tapping method diminishing rapidly, I stuck my hand into the canister and wiped along the pleats with my bare hand. This shook lots more loose, and again, I vacuumed up the fallen debris. I then got the air compressor and used it at about 60 PSI to blow the dust out of the ends of the pleats where they’re glued to the canister, because it’s had to flap those areas. Total effort, an hour and a half. With all of that, the filter started looking like a filter again. After re-installing the canister and powering up the machine again, it was pretty clear how much suction I had gradually lost and not noticed. Suction at my longest run in particular was nearly doubled (unscientifically checked by sticking my hand in the end of the hose). So how did this happen? Well the natural purpose of a filter is to load up. It’s what they do. 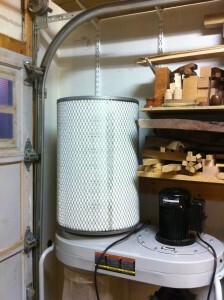 The particular filter I bought is a washable, durable filter that can take a little bit of cleaning. There are cheaper filters out there that if you blast them with compressed air, you’ll easily blow a hole through them – I have a filter like that on my ambient air cleaner, and it’s texture is a little bit like tissue paper. But more importantly, was the lifetime of the filter and performance between cleanings good? Yeah, I would say so. Since installing this filter, I’ve only cleaned it twice. Now, that first picture suggests that it was well overdue, but as a hobbyist and with my current setup and activity levels, cleaning it out every 5-6 months is probably going to be fine. We’re looking at something more like a year in that photo. 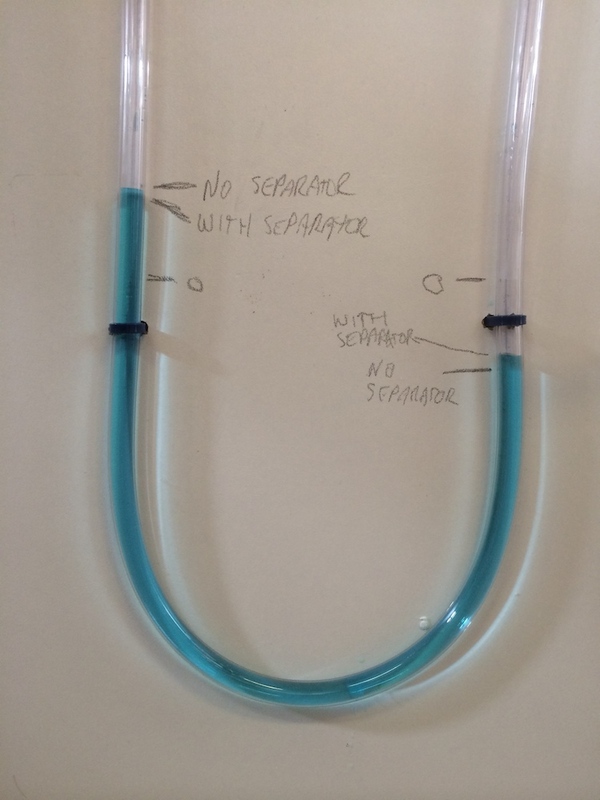 Now, I am going to be spending some time looking in to adding a separation stage to my dust collection network, because at the very least, the clogging was really annoying and if I can stretch out that 5-6 months to 10-12 months and also make emptying out the chips easier for myself, I’ll be even happier. Another project I forgot to post in a timely manner. I was asked to build this as a gift for a little girl I know, and I simply couldn’t resist the chance to try something different. This is a super simple little project that can be completed quite quickly from leftovers. Mine happened to be walnut. The top and bottom of the rack are resawn from a scrap that was about 16″ long and 1 1/2″ wide, yielding two pieces about 3/8″ thick. The test tubes were 7/8″ in diameter, so I drilled 1″ holes with a forstner bit along the top, and I dimpled the bottom strip by mounting a 1″ core box router bit in my drill press. 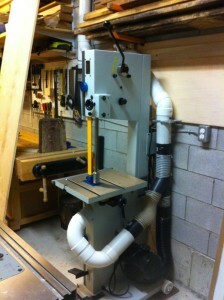 I should have used a plunge router for that instead – there was a lot of chatter. The feet were band sawn and glued on. I shaped both feet as one thicker piece free hand and then sawed them in half to get two pieces. 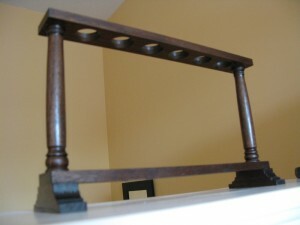 The turned columns are roughly inspired by some traditional examples I found online. They started out as rough 4/4 squares. I turned the first by eye and then used it to mark out the second. They’re not perfectly identical, but they turned out similar enough to satisfy me. The corner joints are round tenons set into round mortises drilled out with a forstner bit for a fairly tight fit. 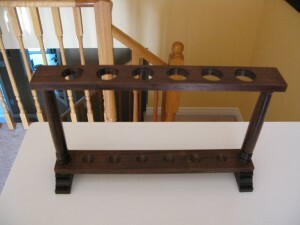 The finish is black walnut danish oil followed by wipe on polyurethane. 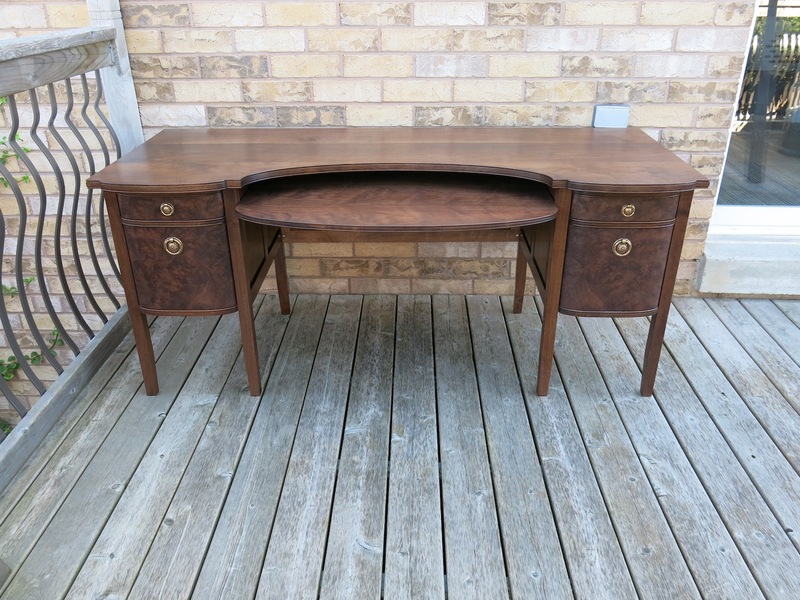 This is quickly becoming my go-to finishing schedule for walnut. 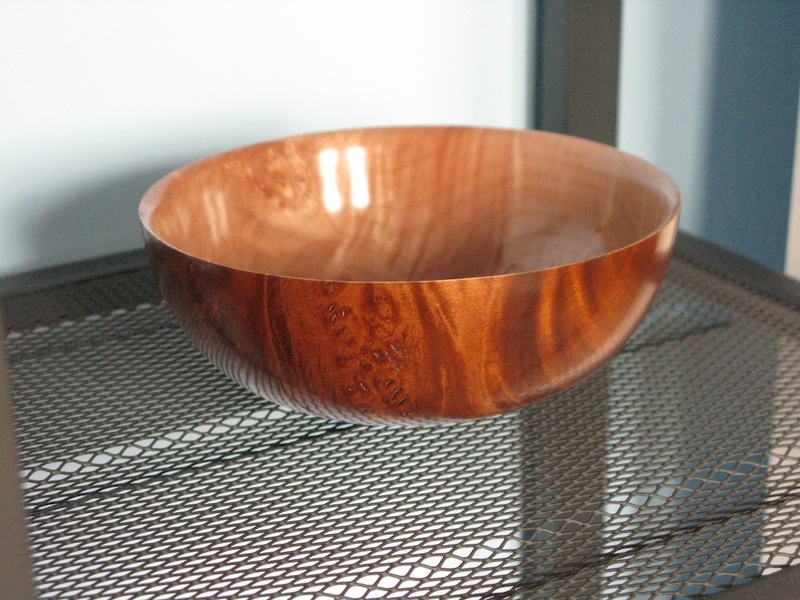 The danish oil evens out the colours of the walnut a little bit and puts a bit of life into the polyurethane, and the colours in the oil accent the pores of the walnut just a little bit without going overboard. 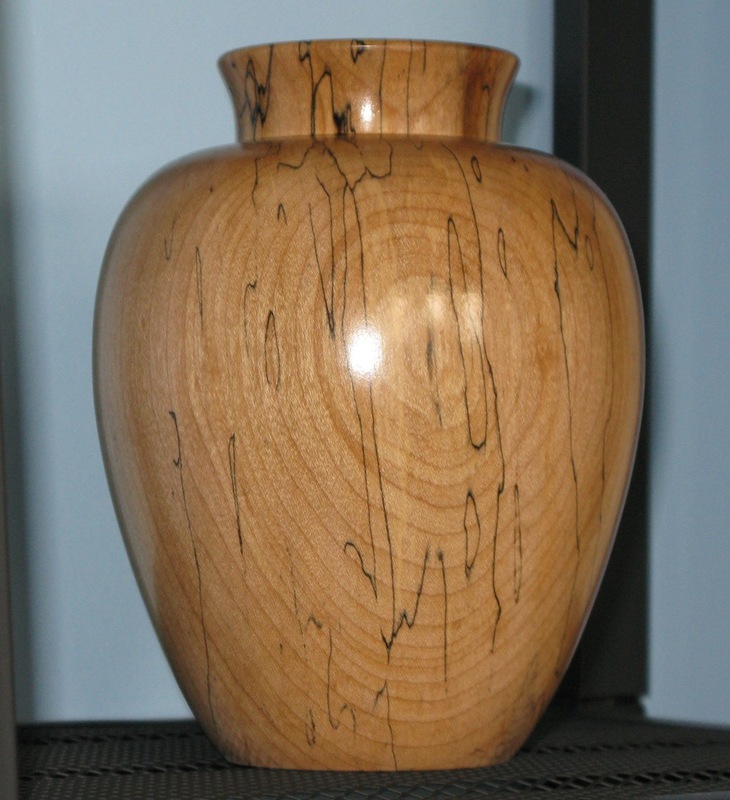 I turned this vase in August, 2011 and forgot to post it here. Better late than never I suppose. Not a whole lot to say about it. I scraped the insides out with a Stewart System hollowing brace that I got among the huge pile of accessories that were included as part of my second hand lathe purchase. 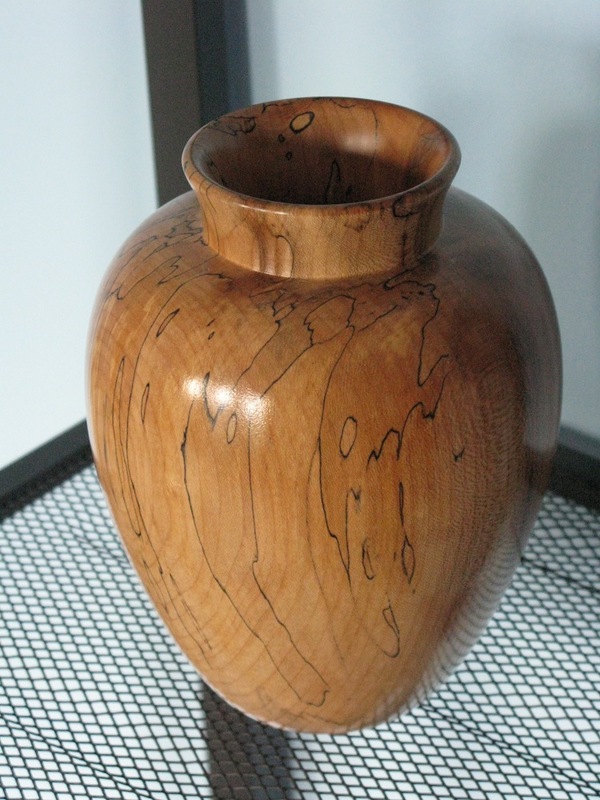 The wood for this project was a diamond-in-the-rough auction score. There was so little interest in it that I had to remind the auctioneer that he’d skipped it. 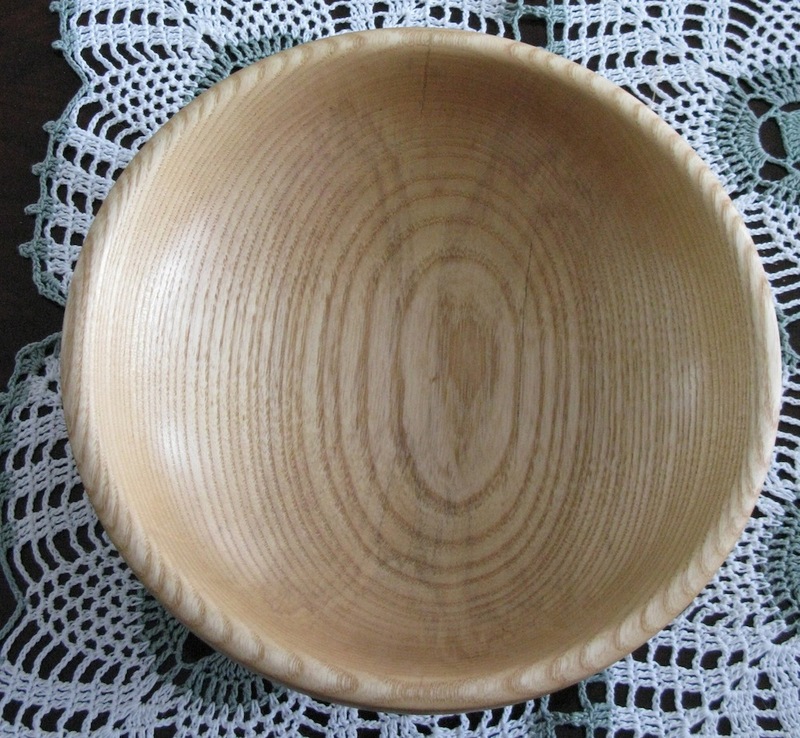 I got three pretty huge chunks of maple for $2, and as it turns out, there was a bit of nice spalting in some of it.